The Night of castles and ruins at Katarínka turned out well, despite unfavourable weather forecast. Katarínka again took part this year in the Slovak countrywide event Night of castles and ruins, which is under the auspices of civic association Zachráňme hrady. Parson Branislav Popelka from Piešťany and Miroslav Kováč from Dechtice served the Holy Mass in the area of the church. 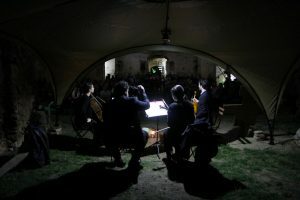 Since it did not rain and the wind calmed down, approximately 150 visitors were able to enjoy both the superb atmosphere and an impressive concert of baroque virtuosi. 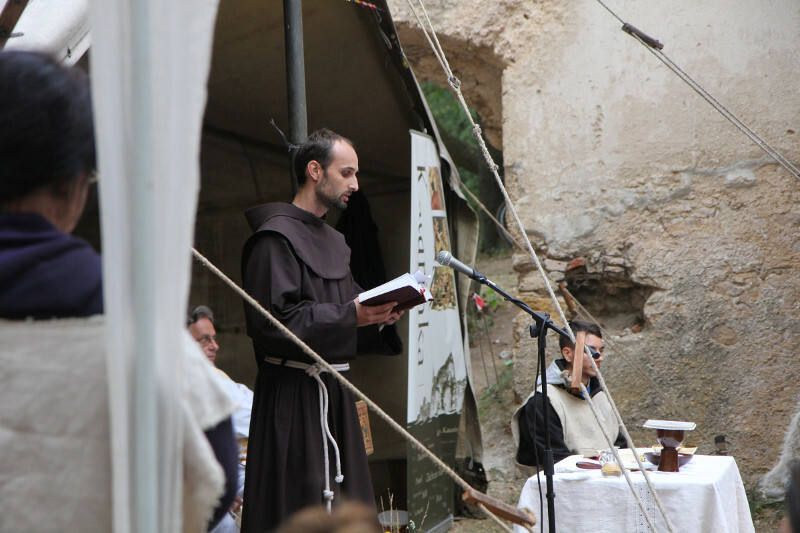 It is interesting that a large part of the pieces was composed by Pantaleón Roškovský, who was a Franciscan that used to act around Katarínka. 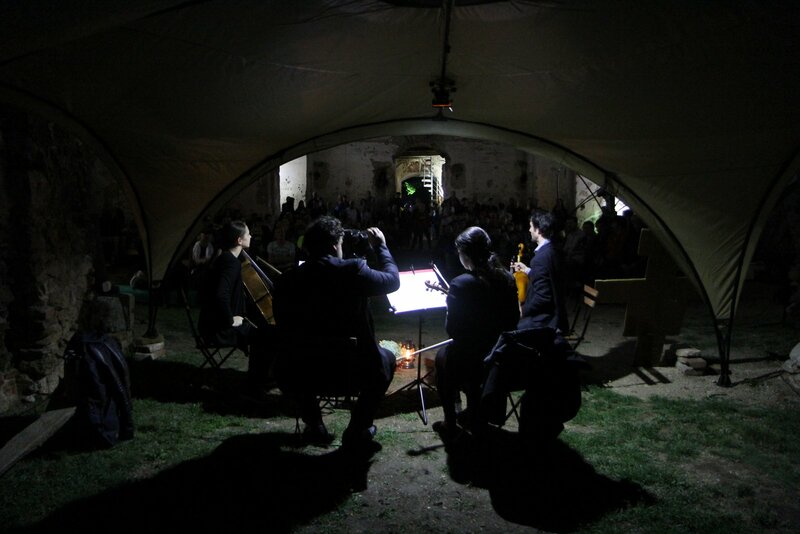 Not only his compositions, but also pieces of other baroque authors were performed by artists Adam Štefunko (electric organ) and Michal Klas (baroque violin, vocals). 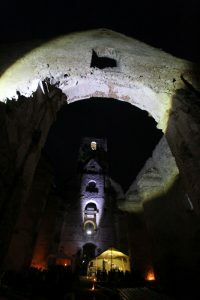 Subtle illumination of the ruins was very impressive, as well as night tours, which were accompanied by traditional monastic dish – water and bread with butter and onions. 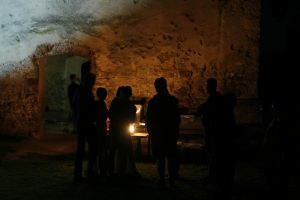 Even before the start of the event, it was possible to visit the reconstructed 30-meter high tower, where the visitors could enjoy a moving view and listen to a detailed commentary given by guides. 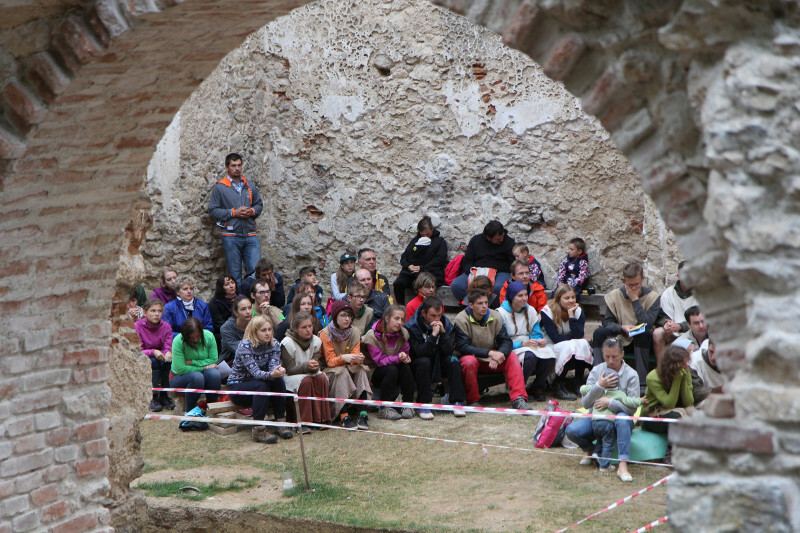 We are very satisfied with both the attendance and the atmospere of the event, because we did not expect so many visitors with such weather conditions. 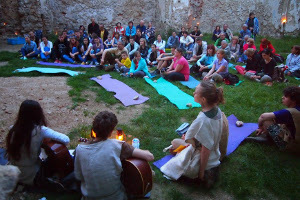 However, many came and they obtained a reward in the form of a splendid evening at Katarínka. On Friday 23rd May, we joined the project “The Night of the Churches” by attending the programme which we organised at Katarinka. 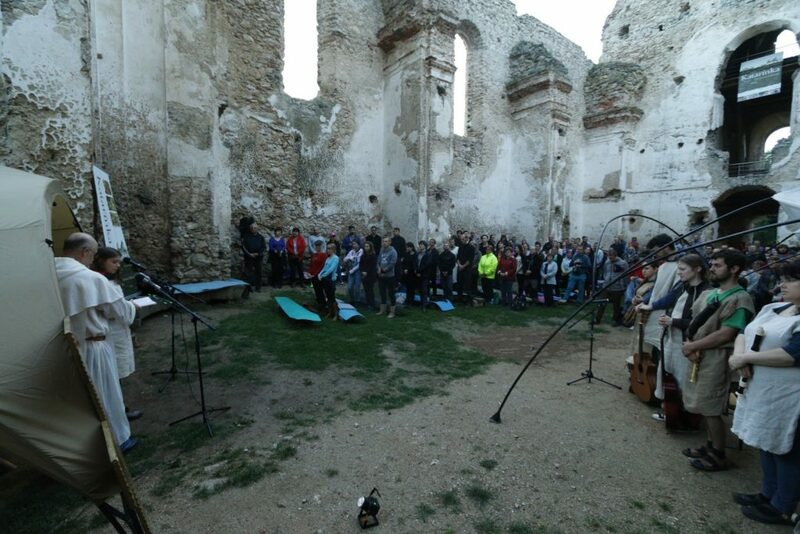 The programme consisted in prayers and a play telling the history of the place. 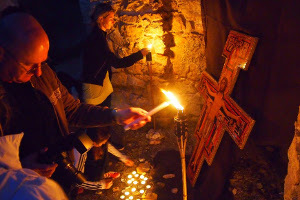 Then, the guided tours of the church and monastery ruins continued, lit by lanterns and explaining the 400-year history of the ruins, the goals of the project Katarinka and its voluntary activities.